Get into the holiday spirit with hot red wine mulled with cinnamon, cloves and honey (krasomelo)! Mulled wine is a beverage made with red wine along with various of spices, like cinnamon, cloves, nutmeg, peppercorn, star anise or cardamom. Lots of variations include dried fruit such as raisins or lemon or orange rind. But Greeks like to keep it simple with just cinnamon and clove and of course some good quality of Greece’s favorite sweetener, honey. A lot of speculation abounds for the origin of mulled wine, which in some cases it is claimed to be Greek. It is claimed that the European tradition of mulling wine started in ancient Greece where heat and spices were used to salvage old wine once the summer’s harvest went bad. Being Greek myself I would love to claim that too! 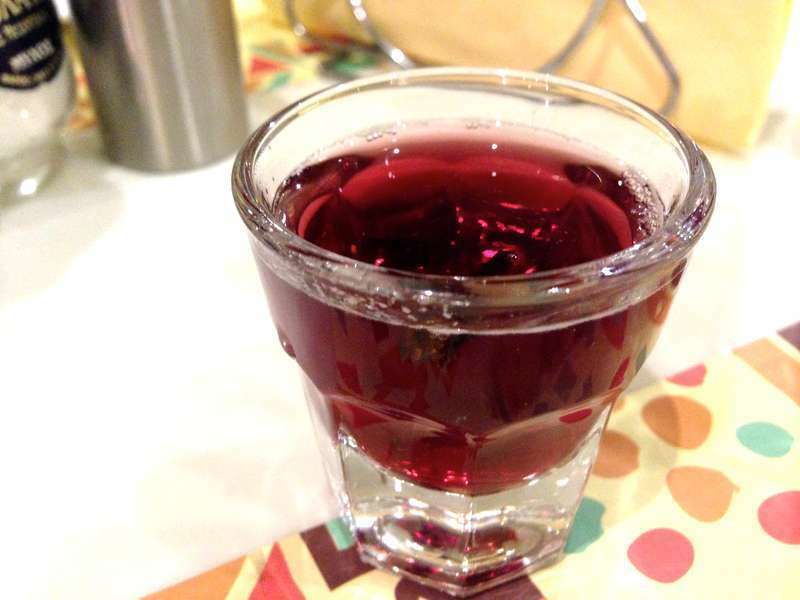 One very similar beverage to mulled wine that originates from Greece is actually rakomelo from the island of Crete. It is made by combining raki or Tsipouro with honey and several spices, such as cinnamon and consumed during the winter as a warm drink. For the ones that could fine some good quality raki, a general recipe for rakomelo is 1-2 teaspoons of honey for every 4 shots of raki, along with one clove and about 1 teaspoon of cinnamon, modified to suit different tastes. That being said, the one fact that is indisputable is that a warm glass of mulled wine is the perfect companion for a cold winters day! So lets get started preparing your own homemade Greek style mulled wine with this super easy recipe! And while you are at it, might as well start preparing some melomakarona and kourabiedes to accompany! To prepare this Greek mulled wine recipe (krasomelo) pour the wine in a sauce pan and bring to a boil. As soon as the wine starts to get frothy, turn the heat down to low and add the rest of the ingredients. Let the wine simmer, whilst stirring, for about 10 minutes, until the honey melts and the flavors combine. Remove from the heat and let sit for a while. Strain and serve in shot glasses. Enjoy! It’s actually a true origin story. Adding spices to wines began in ancient Greece, weere black pepper was mostly used, but also other stuff like resin, fennel, saffron, bay leaf and a whole array of spices. These wines were sweetened in a variety of ways, for example with the extract of pressed raisins, honey and fruit syrup. The Romans took over this style and spread it across their Empire, where mulled wines survived as regional styles that became popular again, mostly for medical use but also as a feast drink. While some kind of mulled wine is a classic Christmastime drink in many cultures, the ancient Greek sweet spiced wine is actually the origin of all modern flavored liquors (like ouzo) and also bitters, liqeurs and Greek resin wine. And also guilty of why some people still see liquor as some kind of medicin.